Over the years, this valuable right has been watered down. 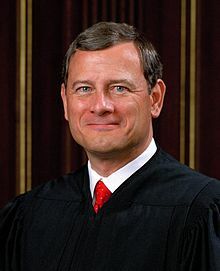 Recently, the Roberts Court heard arguments in a case that did not get much media attention. That case involved a man who was arrested and detained after a traffic stop just because he had been in an apartment that the police had just exercised a search warrant. The name of the case is Bailey v. United States and oral arguments in front of the Supreme Court were heard on November 1st, 2012. Bailey v. United States The narrow issue that the Supreme Court is deciding is whether an individual can be detained by the police merely because he recently left a residence before the police executed a search warrant at that location. Sounds like a no brainer, doesn’t it? Approximately 30 years ago, the Supreme Court decided Michigan v. Summers. In that decision, the Court decided that police officers can detain any and all occupants of a location where a search warrant was being executed. That decision does not sound too bad, since police officers executing a search warrant could be in danger from the occupants of the location being searched. The Supreme Court in the Michigan v. Summers decision muddied the waters somewhat when they went beyond the safety issue and reasoned that the occupants had to be detained and handcuffed to help in the orderly completion of the search process. Can you think of any instances where this extension of the Michigan v. Summers holding would harm or denigrate your rights? In theory, if the government case is upheld by the Supreme Court, any person who has recently been at or near a home or building where a search warrant is being executed, could be subject to detention and handcuffing by the police. Without any evidence of the detained person or persons having any connection to the alleged activity that is the cause of the search warrant, people can be detained and interrogated. It sounds like a very slippery slope to me. Without putting the police at further risk, wouldn’t it make sense to insist that the police must provide evidence that the person being detained pursuant to a search warrant, has some connection to the alleged illegal activities? This is especially important when we have had numerous occasions where the police have searched the wrong residence! If the government’s argument is accepted by the Supreme Court, isn’t the 4th Amendment’s importance dismissed, at least in regards to people who are detained on and off the site of the executed warrant? How do you think the Supreme Court should decide this very important 4th Amendment case? What are the reasons for “your” decision? Raff doesn’t need me to defend him or his father, but really (and I rarely say this), you should consider STFU about other people’s deceased relatives. With all due respect. That kind of smack talking in extremis (in particular one poster talking about another poster’s dead son) did lead to one of the very few bannings in this blog’s history for behavior that was simply beyond the pale socially unacceptable. If you want to peddle the rest of your whatever it is? Fine. No one objects to your exercise of your 1st Amendment rights, however, you are getting into known dangerous territory on the civility policy. You should really leave the dead relatives out of it. You should consider apologizing and then moving on and apology or no you should really just move on. Now I’ve been one of the more accommodating members of this forum to what you’ve said in the past. I’ve even agreed with you on points and principle on a few rare occasions. So take this advice as it is offered: a friendly warning that you are really heading down a wrong path. Take heed or no, the choice is yours and so are any potential consequences of your choice. What is more sickening than “prattling” on about the 4th amendment is your garbage. Stick to the issues and keep family members out of the discussion. You should be ashamed of yourself. Which brings up my miserable DOJ experience — that I was arrested and incarcerated for 5 months without an accusation that I committed a federal offense and without an oath or affirmation and without a bail hearing. AND that DOJ pled in Federal Court that everything they did was legal. Raff: With all due respect to you & yours — nothing is more sickening than prattling on about the “watering down of the 4th amendment” while apologizing & voting for a president who keeps a secret “kill list” that doesn’t just water down but obliterates the entire Bill of Rights. Thanks, but Karl doesn’t owe me an apology. He owes my Dad and every soldier, sailor and airman who made the ultimate sacrifice because they fought and died to allow me to state my views and for everyone else to state their views. No matter how vile or disgusting Karl’s statements were, this site is designed for a free flow of ideas and opinions. However, Karl’s statements were not a view or an opinion, but a personal attack that was not initiated by my words. Karl, that was pretty low. You should be ashamed of yourself and offer an apology. Your decision to talk to me about my Father is not only disgusting and over the top, it is just the type of outrageous and incendiary attack that someone who has no morals and no common sense would use in a discussion. You sicken me. As I’ve identified before Karl is a dedicated Marxist, probably of the Trotskyite variety, though I find that actually researching his position on the Marxist spectrum would be tedious and boring. This is true for most Marxists. The problem is that Karl Marx, someone who did believe in doing good, did not have the insights of Freud to help modify his belief that all is economics. Like all prophets, though he was a minor one philosophically, their views are distorted by their followers and descendants into their personal projections to justify their “will to power”. Click on Karls name and you will find “iskraagent”, which you can google if you actually care to know more about him. Though he will protest that I am “red-baiting” with this, nothing could be further from the truth. In some ways I feel more affinity with Marxists than I do with Right Wingers, since at least on some dim level they pretend to support human rights. The problem with them is that they have as much an Authoritarian Mindset as those in the “Tea Bag” movement. What they want ultimately is for things to get so bad in society that the people will be forced to revolt against their moneyed oppressors. What they miss is that the revolt could go in another direction and lead to something let’s say like Stalin and/or Mao, because in the end it is the Sociopaths who most gain from revolution. Given the above, it is understandable why Karl talks of compassion for the masses, yet himself exhibits little empathy. His remark regarding Larry’s father was not only in the worst of taste, purposely meant to harm, lacking humanity, but was also preconceived with malice aforethought. He has been lurking around our fringes for quite some time now and I know from his past attacks on me, that he mentally catalogues what personal information that we provide, to be used viciously against us. Stupidly, he no doubt prays for a Romney victory so that things will really collapse for the 99%, all the better to bring on the revolution. The only problem is that he and his forces, while always talking organization, usually spend their time in internecine argumentation’s as to who hews most closely to their “divine” theories ad so bore the hell out of those they try to organize.